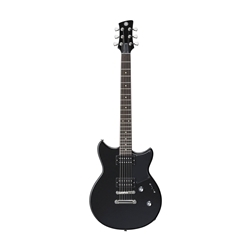 The Revstar RS320 features YGD HH3 humbuckers. These utilize a ceramic magnet combined with a brass baseplate. This combination ensures a bright, punchy tone that is perfectly balanced for a guitar such as the 320, which features a solid nato body (nato is a wood similar to mahogany) with a set-neck construction.